Our spacious fully air-conditioned 2 bedrooms apartment boasts views towards the sea & Dubai Marina with its luxury yachts, boats and is in a prime location overlooking the beautiful Dubai Marina, decorated and furnished to a high luxury standard . It consists of a living room with cable TV, dining area , a modern italian designed bathroom and a large kitchen fully stocked with all the equipments you may need. The large balcony can be accessed from main living area aand has tables, chairs . 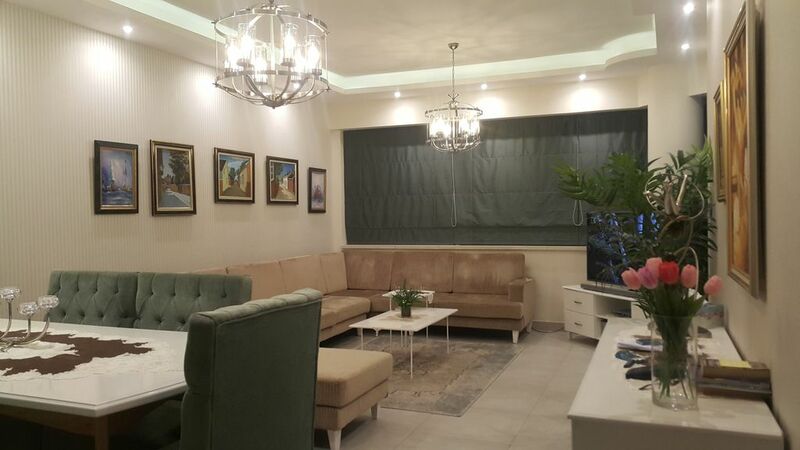 super clean with beautiful furnitures .. Stay at the best entire place in Dubai- Marina . Suitable to those who love Sea , beach , boat , golf , it's in the heart of Dubai Marina in a quiet area at one the best tower called Al majara Tower . There are 100s of restaurants, cafes, supermarkets, metro station all within a radius of 30 meters. Most happening place in the evening - The Famous Marina Walk . Direct on dubai marina with its dozens of resturants and coffee shop, the vibrant marina has so much to offer , Dubai marina walk is just a few minuts walk away.with 4 floors of shops restaurants, 96 seen cinema and various play area for little, it also provide a direct link to the 5 star address hotel as well as the fine dining 7-story tower , per. The sand beach is around a 5 minuts walk where you will find plenty of shops restaurant and activities to entertain the whole family. Direct access onto picturesque Marina Walk and all the restaurants/cafes and other amenities. 3 minutes walk along Marina Walk to Marina Mall. Conveniently located for JBR beach access. 3-minutes walk to the Tram and Metro for access to the rest of Dubai. Marina night-life on your doorstep. Dubai Marina is one of the world's largest and most luxurious waterfront residential communities developed by Emaar and our building in one of the best buildings in Dubai Marina with excellent facilities; infinity pool with full marina views, gym, jacuzzi, steam room. Please read the amazing reviews our guests have left. We welcomes you and hosts you and your family with fruit snacks, granola , milk , water , cheese, eggs , bread etc. so you do not have to go shopping upon your arrival. Bluewater Island and new dubai eye - 10 minuts walking distance. Although I didn’t have the pleasure of meeting Mr. Harlem and his kind family , they were a wonderful transparent, polite and very clean guests ever we met , Genuinely they were very easy to host and settled into our flat , charming guests to which my wife had the opportunity to host and meet them upon their check in and out .They were extremely polite ,friendly, kind and a very nice , super clean family we ever met as they left our flat spotless and in a best condition after their departure , exactly as we handed it to them on upon their arrival ...I strongly recommend every one to host them without any doubt as they are the absolutely best clean family I've ever seen . million thanks dear Mr. Harlem and wished to host you and your family longer .. wish to see you soon , all the best and hope you a very joyful life full of happiness. Our family (5 pers.) had very pleasant stay in this apartment which really has incomparable view of Marina. The most important is that you get this fabulous view from the living room, the balcony and from masterbedroom as well. It's great during the day and fantastic at night. The apartment is very clean. The bed lining and kitchen utensils are spotless and there is the whole variety of them you may need. The double bed itself is comfortable. The shower and the toilet are also very clean and well maintained. Almajara residence where the apartment is located is secure and clean with it;s own territory. The pool was always heated and we enjoyed swimming. There is also a good gym which also overlooks Marina. Carrefour supermarket is 5 min walk and you can get there all you need. Everything is in walking distance. The JBR and the beach is 7-10 min walk. We are very thankful to Kayser and Khawla who are extremely hospitable and did their best to make our stay in their apartment pleasant. We had the most amazing holiday , the apartment was spotless , the block was constantly being cleaned and was so safe and secure and the reception staff were lovely , so friendly and helpful . Kayser was great from start to finish , always lovely and helpful and the extra touches were great so after a long flight you don't have to go straight to the shop . The view from the balcony is breathtaking , the pool area is beautiful , a lovely place to relax after some sight seeing or shopping . Taxis are always available opposit the block exit , a good way to get around , they are cheap and air conditioned and all the drivers are very polite .The beds were really comfortable , plenty of clean towels , a lovely bathroom with a great shower and a good internet connection . So happy that we chose this apartment , would not bother looking at any others in Dubai as this one ticks all the boxes for me , once again Kayser thank you so much for making it a holiday full of great memory's . This is a great apartment in a very good location close to Dubai Marina Mall, the beach and the walk. The apartment was clean and has a great view from all windows and the balcony. The host is very friendly and gave us a nice welcome, including fruits, beverages and various food, as well as a nice collection of amenities. The pool area was nice and includes jacuzzi and sauna as well as a fitness center. We can definitely recommend this apartment (we were a family of 4 with two boys aged 2 and 5). Jeppe and his kind family was absolutely the best guests we've ever met .. once the left the apartment was like unused at all ..so perfect and top clean family ..we are very prouded and happy that we hosted them , i strongly recommend jeppe to every one with any doubt ..brilliant family .. thank you millions jeppe and wish to meet you again , all the best . Die Wohnung war sehr sauber, der Blick vom Balkon ist sagenhaft und wir wurden am Ankunftstag abends um 12 Uhr empfangen mit ein paar Lebensmitteln für den ersten Abend und Morgen. Leider war die ganze Zeit über der Backofen defekt, das war schade. Jedoch hat die Kommunikation gut geklappt und Herr Kayser war stets bemüht. We recently had the pleasure of hosting Mr.Meyer and his very kind wife and daughter from Germany . They were an absolute delight to have in our flat in the heart of Dubai Marina. We felt like we had known them for years as they were extremely considerate and generous, at their late arrival around 1am after midnight we were waiting them with my wife who was very happy to host them and we prepared for them the breakfast snacks he and water , milk fruits etc . And my wife was very sad to say good bye to them as she gave them dates from dubai . Mr. Meyer and his family were extremely clean guests ever we met as they left our flat super clean . Million thanks to them , wish them all the best and hope to see them again . Very nice apartment. Perfect for a family of 3. Was very clean and very welcoming owner. Close to JBR beach, restaurants and grocery stores. Would definitely go back. Mr Jean and his kind family were a fantastic guests ever we met , Genuinely they were very easy to host and settled into our flat , charming guests to which we had me and my wife the opportunity to host and meet them in Dubai as ww got a chocolate gift upon their arrival. They were extremely polite ,friendly, kind and a very nice , super clean family we ever met as they left our flat spotless and in a best cleaned condition after their departure ...I strongly recommend every one to host them without any doubt as they are the absolutely best clean family I've ever seen . million thanks dear jean and wish to see you soon , all the best and hope you a very joyful life full of happiness.